First it was Air Europa. Then Iberia, Lufthansa, Air France, Avianca (Colombia), Tame (Ecuador), Air Canada, Aerolíneas Argentinas, TAP (Portugal), COPA (Panama), American and United. 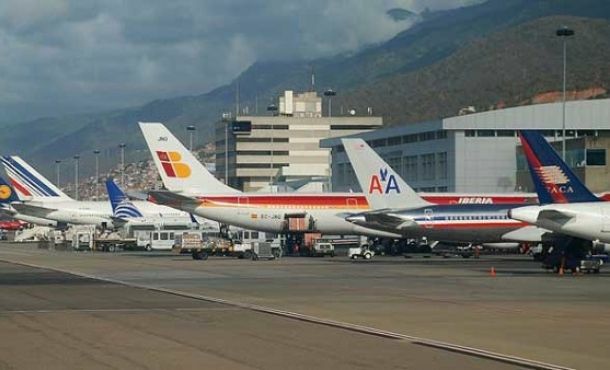 One after the other, the airlines lined up to announce they will no longer sell tickets in bolivars, as the government is now $2.8 billion in arrears in settling its Forex obligations to them. This write-up in La Voz de Galicia (insert favorite gallego joke here) is eye-opening in all kinds of ways. At this point, bolivar-holders are basically cut off from the rest of the world via air. Even if you have dollars, you can’t get a one way CCS-MIA ticket for less than $1,800. (Bizarrely, MIA-CCS tickets cost a sixth as much.) It’s crazy. Of course the airlines are only the most literal aspect of our dollar-drought driven disconnect. In a port economy that had already been hollowed out by a generation’s worth of Dutch Disease even before chavismo came to power, it’s no surprise virtually that no sector can really operate without supplier credit from foreign partners. Even the products that we do produce face dollar bottlenecks somewhere along the supply chain. Take cheese. We certainly do produce that. But we don’t produce the packaging it goes into. No dollars, no package; no package, no cheese. Take that story, multiply it by a thousand, and you have an idea of what the Venezuelan economy looks like at the start of 2014. When you just plain stop paying the bankers, everyone screams “default” and freaks out. But, for some reason, when you just plain stop paying the suppliers, it’s a human interest story. Previous articlePeace sells… but who's buying? Next articleWhat does forgiveness feel like?